Very fresh seeds collected in Nov. 2018 in Shantong, province of China. The Paulownia Shan Tong is the best hybrid between species Paulownia tomentosa and Paulownia fortunei from China. 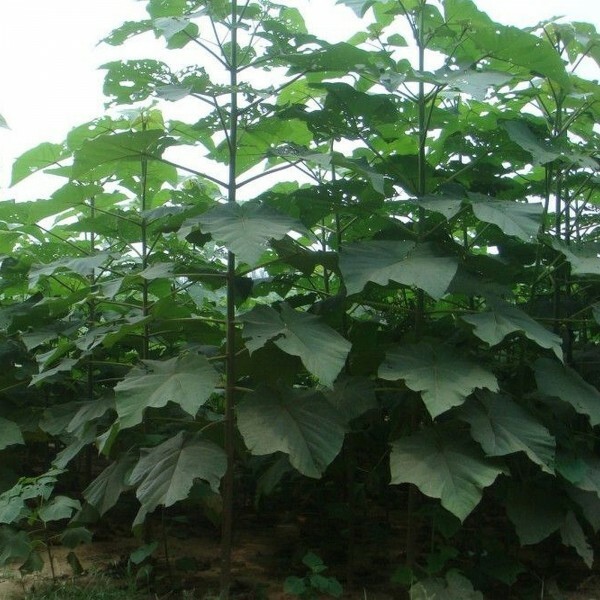 - very fast and straight growing - 2-5 meters per year or 100 tons of biomass per hectare in 3 years. 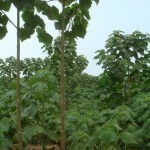 Within 8-10 years after planting it reaches a size that allows to harvest, growing up to approx. 15 meters height and reaching a diameter of approx. 50 cm. - narrow crow. Because of their narrow crown more trees can be planted per hectare for commercial growing. - high wood quality. 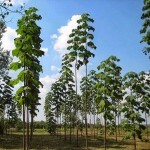 Wood is very suitable for biomass/biofuel, as construction material, heating, furniture industry. Wood is very light, but very durable and strong at the same time. - strong root system and renewal (after cutting for timber will germinate into sapling with the germination rate of 100%). Paulownia has very large and nice leaves up to 70 cm in diameter. Leaf mass is used as forage for livestock. Also produce much more oxygen than other deciduous trees. Flowers (5-6 centimeters in diameter). Trunk diameter of mature tree is about 1 m. Life expectation is approx.100 years and can reach heights up to 25 m.
It’s unpretentious to soil, can be cultivated anywhere, even on dry soils containing up to 2% of lime; but deep, moderately moist, drained, sufficiently fertile, clay soils are the best for growing. 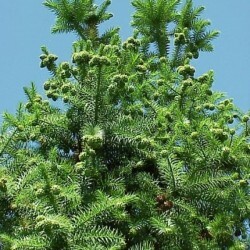 It’s also a heliophyte, best grown on open well-illuminated areas. Grow in full sun in nearly any soil type that is not waterlogged. 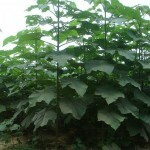 It is best grown in deep, moist but well-draining soils and certainly protected from winds. Bitter winter cold can destroy flower buds and too warm of winters will lead to bud drop. Best grown on open well-illuminated areas. Germination Below is the method personally tested and practiced with ~80-90% germination rate result. No cold and moist stratification required. Sow on the surface of clean moist potting soil. Lots of light is necessary for germination, do not cover with soil. It is recommended to use artificial LED lightning for at least 18 hours per day until germination and a bit longer till the seedlings grow strong enough to replant. For better germination cover with glass or clear plastic. Spray with water few times per day. Don`t let the substrate to dry out, don`t keep it too wet. Very important: temperature must be between +23C to +27C. If temperature is higher than +27C, seeds will not germinate or germination rate will be very low, seedlings weak. Normally germinates in 5-10 days.